Motorola Solutions, Inc has announced a new smartphone for public safety and enterprise customers. This is the new LEX F10 rugged smartphone, which runs Android OS. The F10 is the follow-up to the LEX L10 from last year. It's a drop-resistant and also water-resistant device. It's IP68 and MIL-STD 810G certified. Plus, it runs Android Lollipop (weird for 2017 but remember this is not a consumer product) and has a 4" screen. As it is a very secure device, it comes with Motorola Solutions' hub of applications for public safety. All of these run on LTE. And, as a rugged and secure Motorola phone should be, this one comes with the classic Push To Talk feature. Motorola put a huge battery inside this one: 4,800mAH. There's an 8MP rear camera and a 1MP front camera. The phone runs on a Qualcomm processor, that's 1.2GHz quad-core. It comes with 1GB RAM and 16GB internal storage, expandable via microSD cards. 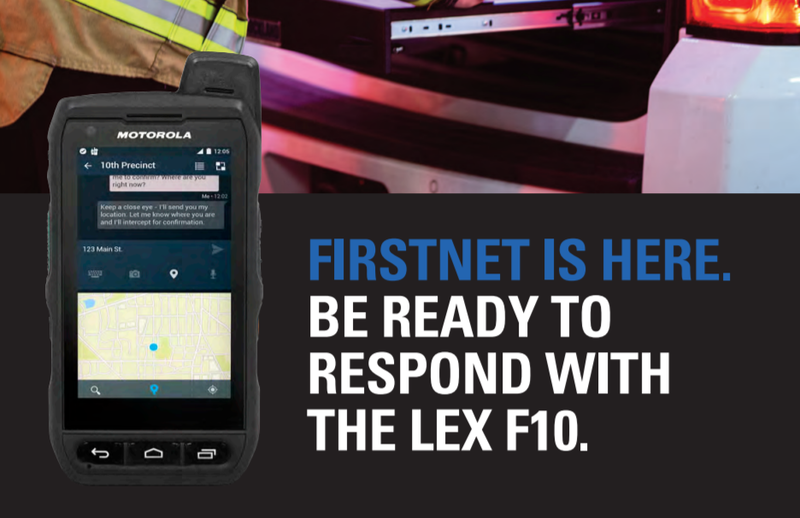 The LEX F10 will be released soon to Motorola Solutions' partners and customers. Remember this is not a consumer product, so it will be very rare to see one of these.